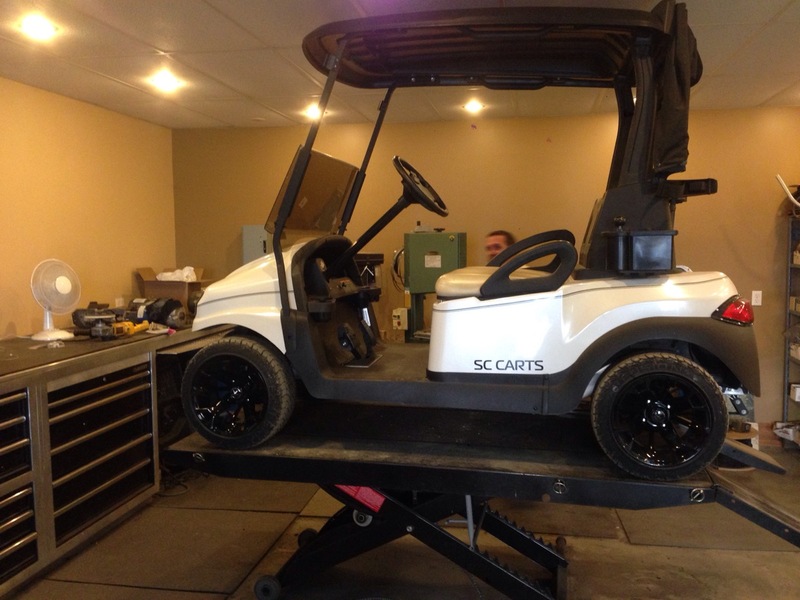 Each week, we can’t contain our excitement as we get to show off the next cart coming out of the SC Carts’ shop. Although we may be guilty of having a few favorites, this one is definitely up there! 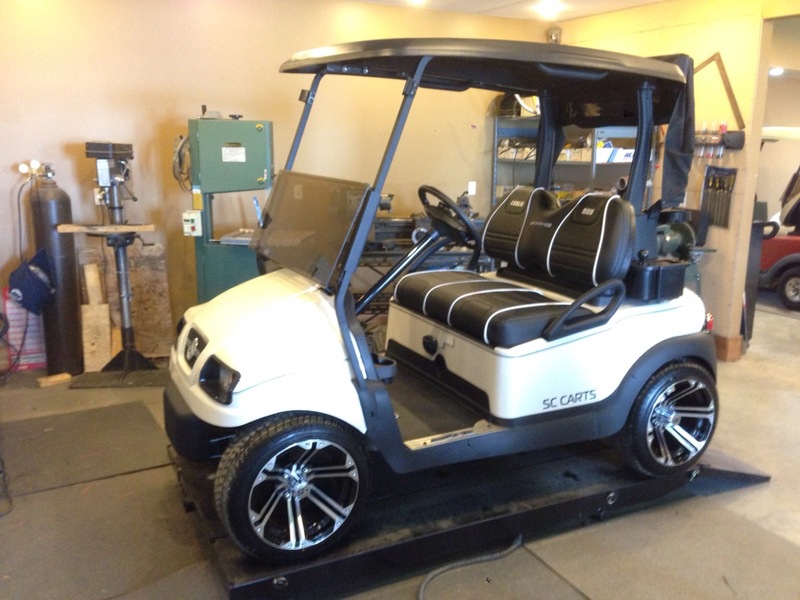 This Club Car Precedent is inspired by our customer’s Mercedes SL63 AMG Convertible Roadster and it features custom touches that include 14″ rims & tires, a custom Mercedes grill & AMG side sills, custom upholstery with embroidery and more! 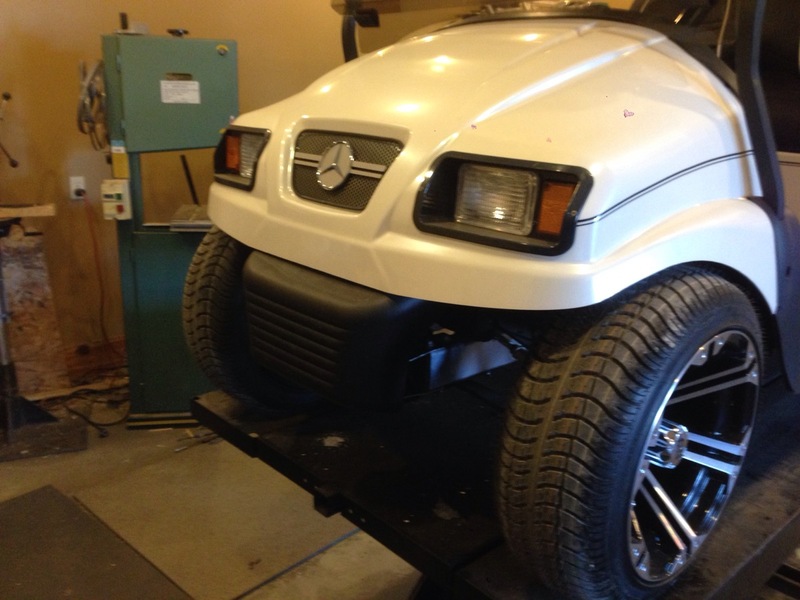 Here’s the sweet, sweet Mercedes SL63 AMG that this golf cart has been inspired after. 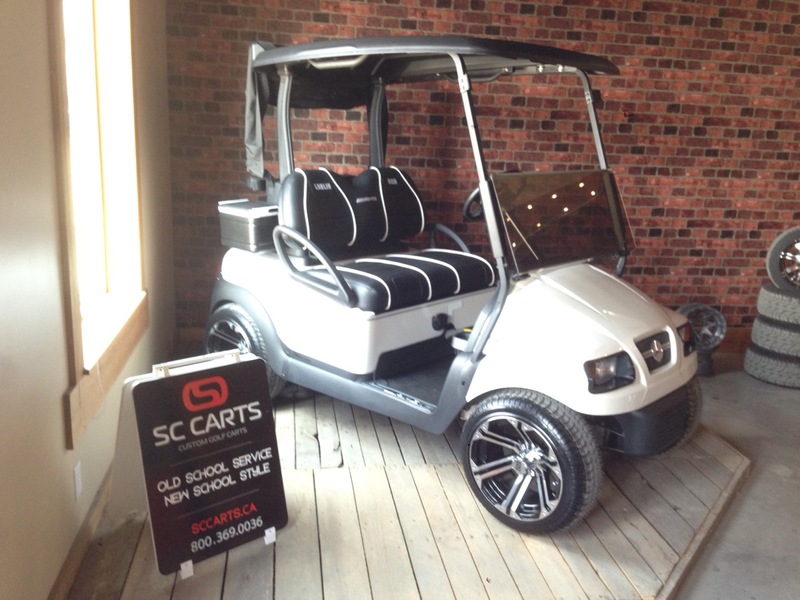 Here’s the cart as we had it in the showroom, luckily our customers car was pearl white and so was this cart! 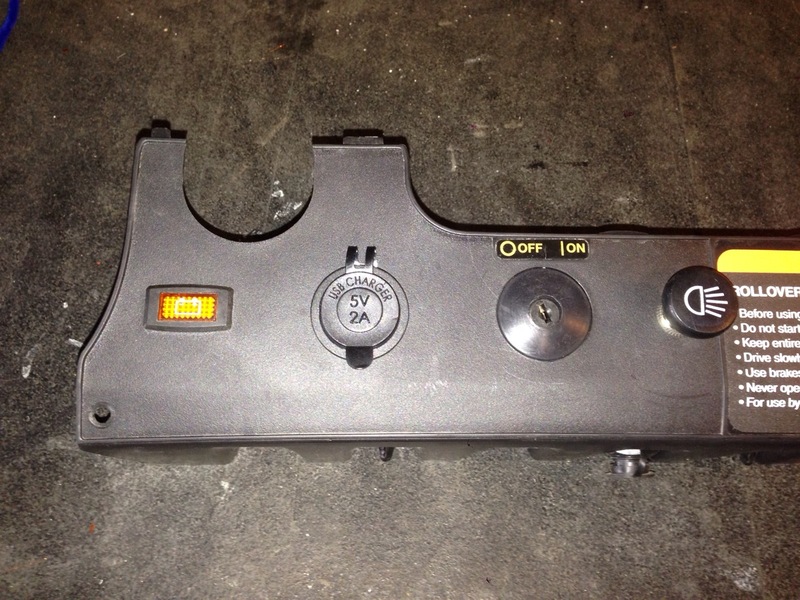 But we needed to make a few obvious changes to give it that custom look our customer was after. So we brought it into the back of the shop and got right to it! First order of business was to remove the custom upholstery and get ready for an even more custom upholstery. and of course it only made sense to change them out to these sweet 14″ rims! 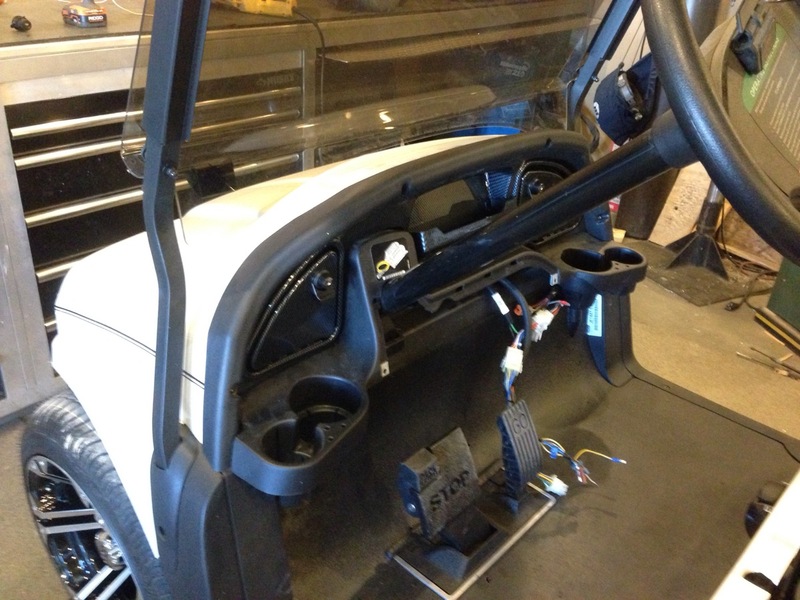 Next we installed the custom carbon fiber locking dash. For charging the electronics a 2 plug USB charger was installed. 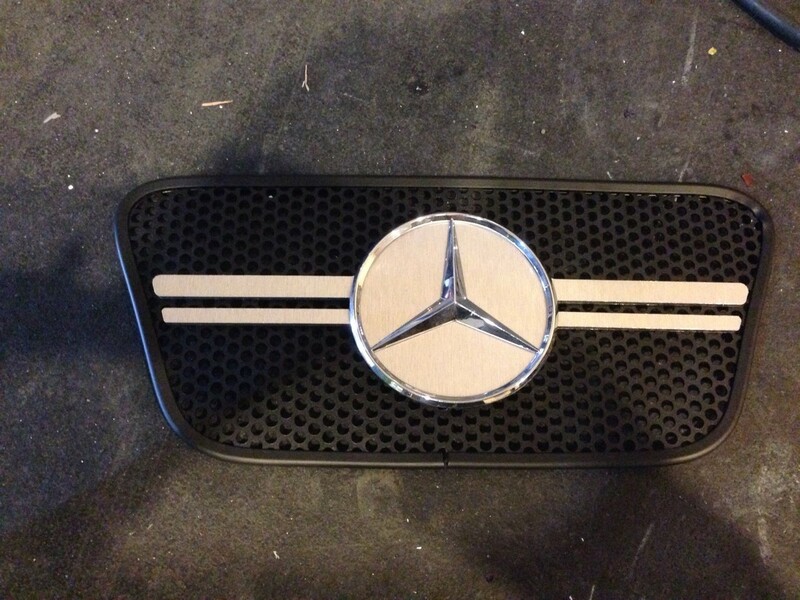 Next a one off custom grill had to be made, we turned to our CNC router table to handle this job! Now that looks awesome! 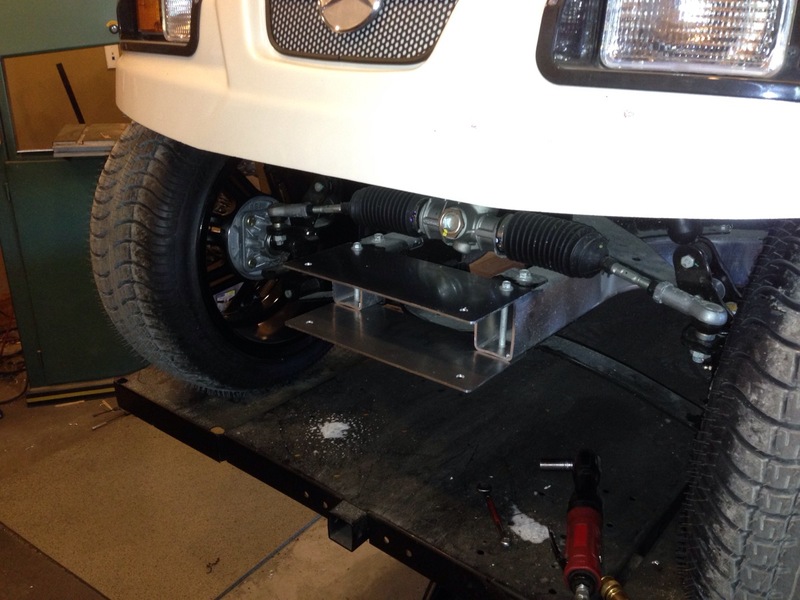 This cart is coming together. 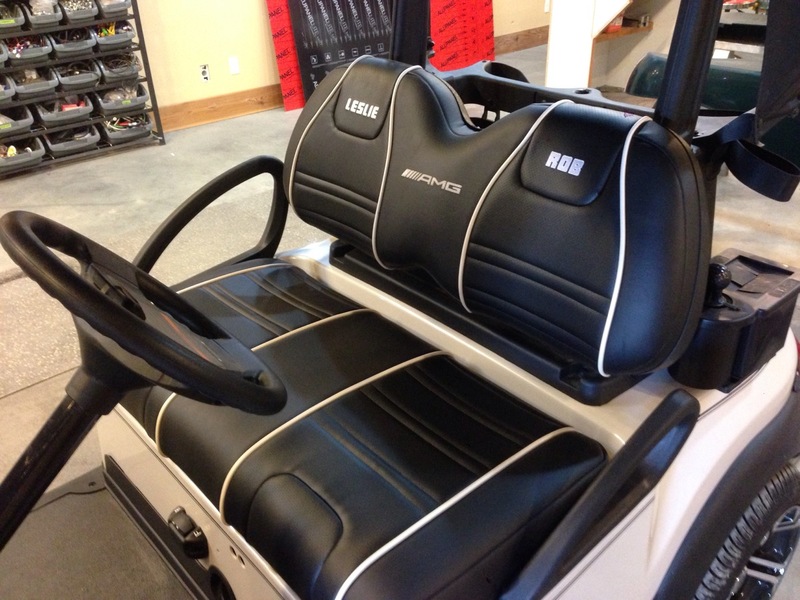 Our customer wanted us to make the upholstery on the cart black with white piping and add his and his wife’s name to the seats. We took it one step further and got inspired by the real AMG seats! Our upholstery department nailed it! 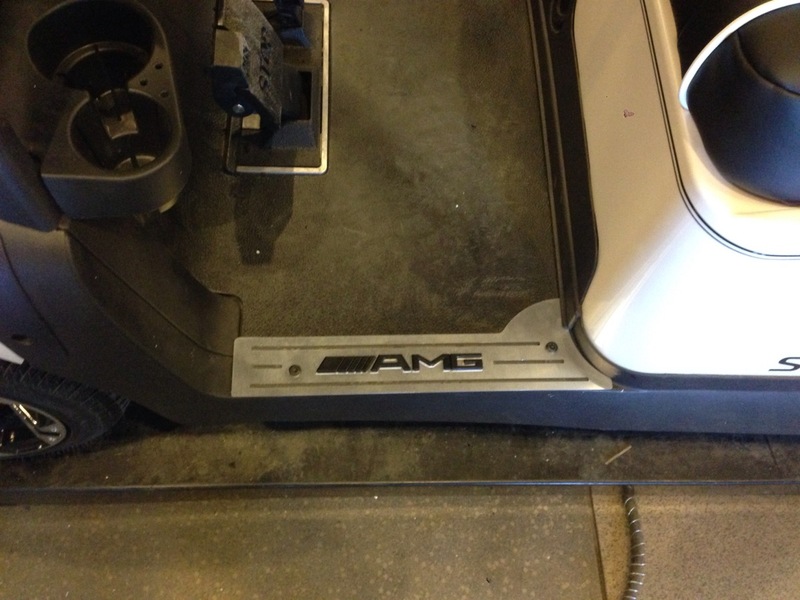 To further enhance the feel of the real car into the cart we added a set of SC Carts custom one off side sills with the AMG logo. Just like the real car. Next we CNC machined some custom extension plates for the bumper to bring it out past the front of the cowl and nice and tight to it. Now that is a pretty sharp looking front end! 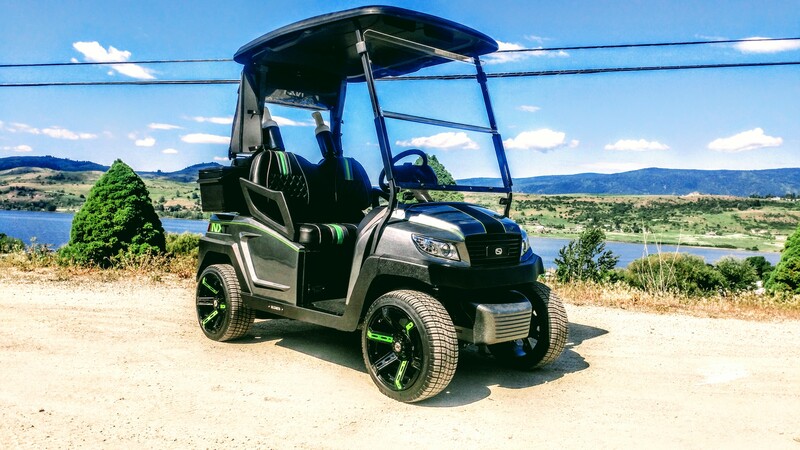 A picture of the entire cart, what a beauty! In the showroom ready for delivery. 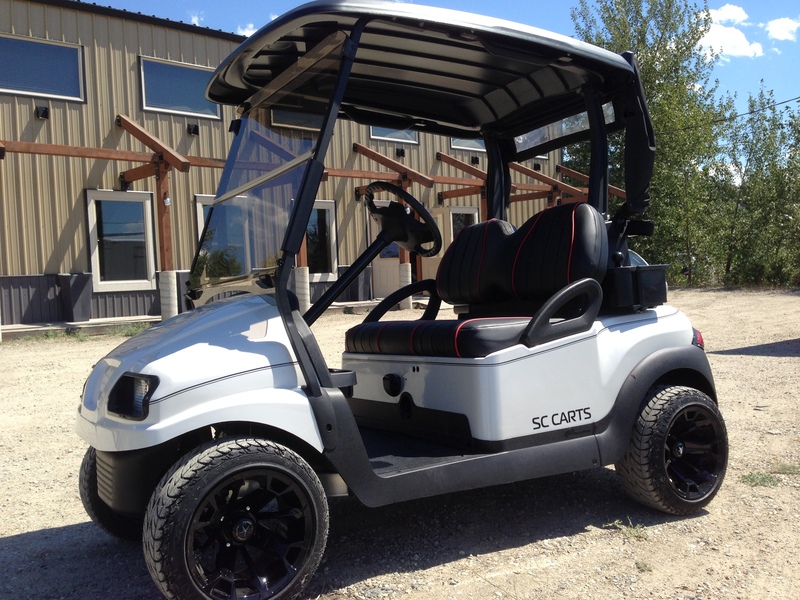 This cart turned out amazing. 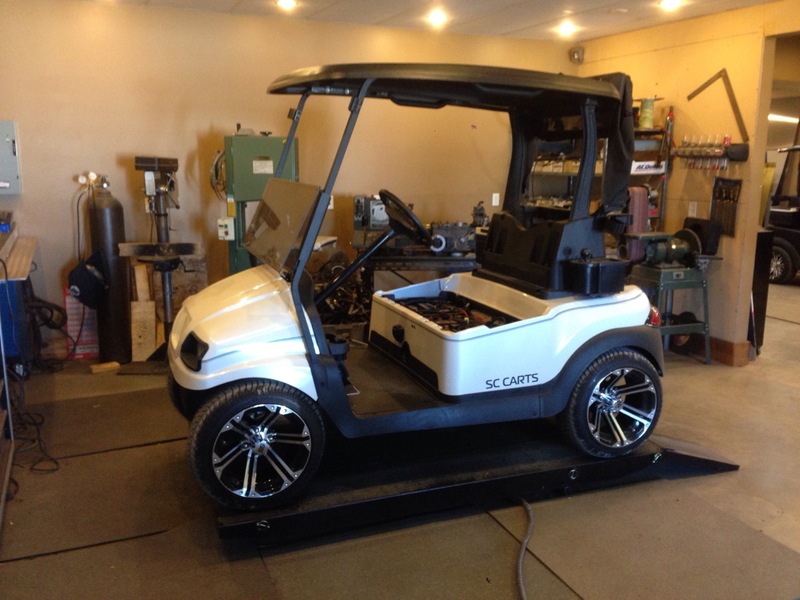 We love building these types of vehicle inspired carts as opposed to the fiberglass bodied carts that are made to look like the real car. 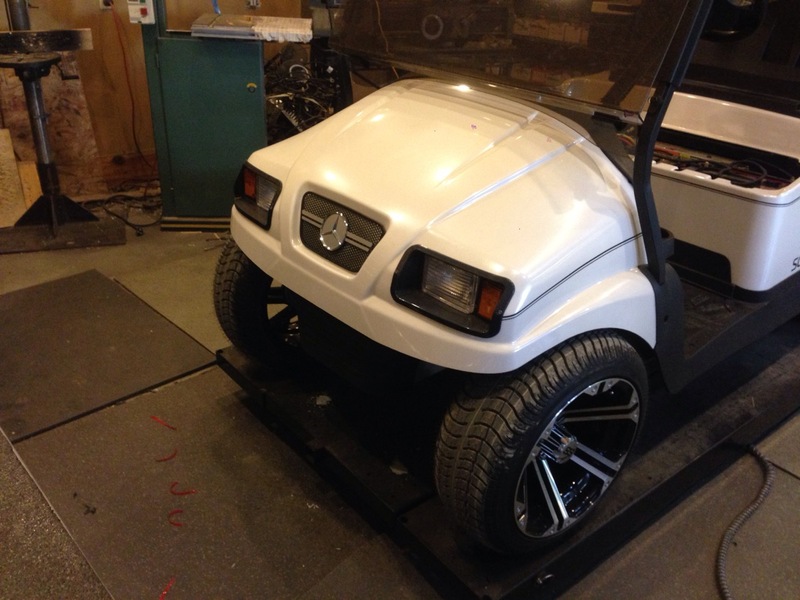 These carts hold up much better then the fiberglass cart bodies and the proportions of the cart look proper! 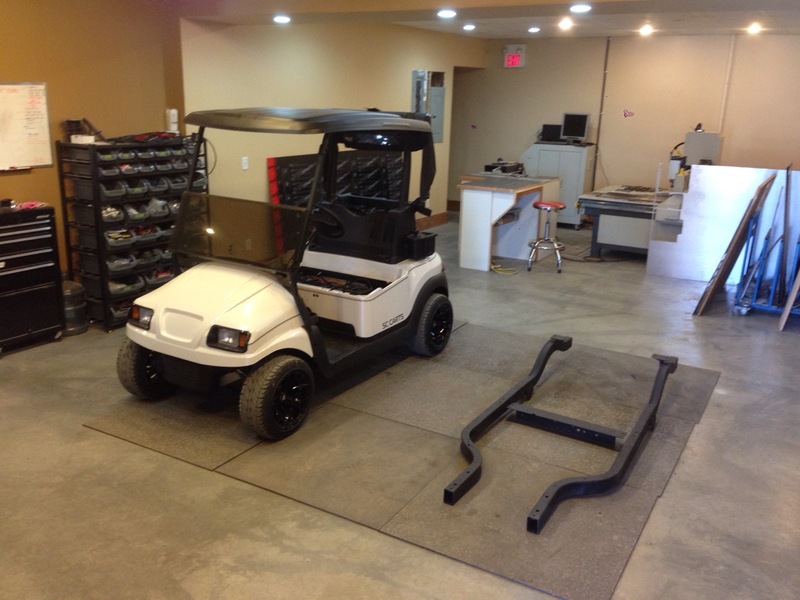 Check our Facebook page to see this cart being delivered to it’s new home soon!